Ignore Scandinavia’s expensive reputation – Copenhagen has plenty of things to do that don’t cost a thing. State art museums, bike hire, parks and all-night dance parties break the Scandinavian stereotype. Here are 10 of the best of free Copenhagen. World-famous chefs and deluxe picnic hampers – book a hotel to dine your way across the globe with our top 10 gourmet destinations in the world. A summer holiday in Copenhagen is ideal for soaking up Scandinavian summer sun on long afternoons of wandering royal castles and museums. The warm nights are for sampling Scandinavian fare and lively jazz. Book a summer hotel in Copenhagen. 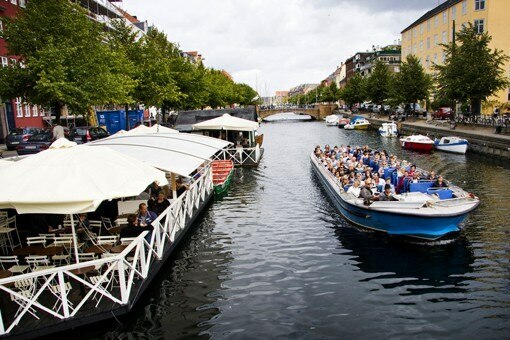 A short break in Copenhagen gives you plenty of time to visit many of the city’s main sights. Spend just a few nights in a Copenhagen hotel and follow this easy, inviting itinerary. Deciding where to stay in Copenhagen is crucial to make the most out of your stay. Choose your Copenhagen hotel using this neighbourhood guide.